Earlier this week, former Spice Girl Melanie C took to the stage joining cast members from the award-winning West End musical We Will Rock You to perform a unique curtain call charity collaboration – and was joined by a very special guest. Introduced by writer and director of the show, comic genius Ben Elton, the performance was part of BBC Children in Need Pop Goes The Musical, a series of West End performances by pop stars to help raise money for disadvantaged children and young people in the UK. But as a further electrifying surprise for the audience, rock legend, founding member of Queen and music supervisor of the show Brian May took to the stage. He joined Melanie C in a fantastic and highly energised rendition of ‘We Will Rock You’ and ‘We Are The Champions’. The audience went wild, taking part in the infamous ‘stamps and claps’ as Melanie C’s impressive vocals were stunningly enhanced by Brian May’s signature show-stopping guitar riffs. Based on the songs by legendary rock band Queen and named after their hit single of the same name. We Will Rock You is written by British comedian and author Ben Elton in collaboration with Queen member’s Brian May and Roger Taylor. The story takes place in a tongue-in-cheek dystopian future where originality and individualism are shunned, and a lone “dreamer” appears who can fulfill a prophecy that will enable the return of rock ’n roll. BBC Children in Need POP Goes the Musical 2011 is working with the best of West End Theatre and a star-studded line up. 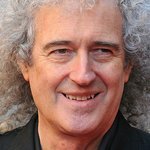 This unique charity project is giving renowned celebrities from the music sphere the chance to perform a hit song with a top show to help raise vital funds for disadvantaged children and young people here in the UK. The other show-stopping celebrities involved in the series of unique curtain calls are the gorgeous Peter André performing GHOST the Musical’s spectacular number ‘Unchained Melody’, the lovable Stacey Solomon singing the duet ‘For Good’ from WICKED, and soul sensation Dionne Bromfield delivering a rendition of ‘Why Do Fools Fall in Love’. Chart-toppers Sugababes will take on ‘Dancing Queen’ in MAMMA MIA! tonight (September 15).